The Chinese New Year in 2019 commences on Tuesday February 5, with the "Year of the Pig" running until January 24, 2020. The pig is the twelfth in the 12-year Chinese Zodiacal cycle. Over the past century, it has been celebrated in 1923, 1935, 1947, 1959, 1971, 1983, 1995, and 2007. Chinese author Lao She, filmmaker Alfred Hitchcock, Former U.S. Presidents Ronald Reagan and Andrew Jackson, former presidential candidate and U.S. Secretary of State Hilary Clinton, former Governor of California and movie star Arnold Schwarzenegger, TV entertainment host David Letterman, famous inventor and entrepreneur Henry Ford, singers Bryan Adams and Snoop Dogg, and Hollywood stars Winona Ryder, Woody Allen, Julie Andrews and Lucille Ball. Continuing my tradition of drawing some lessons for business and governments in the Chinese Zodiac, what are some lessons to be learned this time round? "Happy New Year!" Pigs are viewed as happy and content and the hope for 2019 is that this will prove to be the case for businesses around the globe. Let us hope the Belt and Road Initiative and other major projects will be a force for economic prosperity and peace and provide opportunity for the poorest countries to raise their people out of poverty. Communication. Pigs remind us of the importance of communication. They are effective at communication and have a lot to say, boasting a vocabulary of over 20 different sounds with different meetings. Leaders in business and government must also be excellent communicators both within the organization and with external stakeholders and the general public. Forgiveness. Forgiveness is the gift we give ourselves. Hate can be such a negative emotion; often bringing most harm to the hater. None of us is perfect. We all make mistakes. The Year of the Pig is also often associated with being forgiving. For family members, business partners and others, may 2019 also be a year of forgiveness and moving forward to make things better. Tolerance. There will always be differences between people, so that there will always be disagreements. We need to find a way to be less divisive. Many need to learn to disagree without being disagreeable. In this way, communication remains an open and ongoing dialogue, voices will be heard and differences eventually resolved. What we don't want to see in 2019 is an increase in violence or even litigation. Friendship, love and generosity. People buy from and do business with those they like. It is important for us to see that we are all part of the human race, that we are increasingly inter-connected and that we share life on this increasingly fragile planet. We are at our best when we build bridges of cooperation. Trust. As our world and commerce become increasingly digital, it is important that both businesses and governments give sufficient attention to security and privacy and thus build trust if the promises of a bright digital future for business and government services are to achieve their great potential. New starts. Pigs are very productive and nurturing. 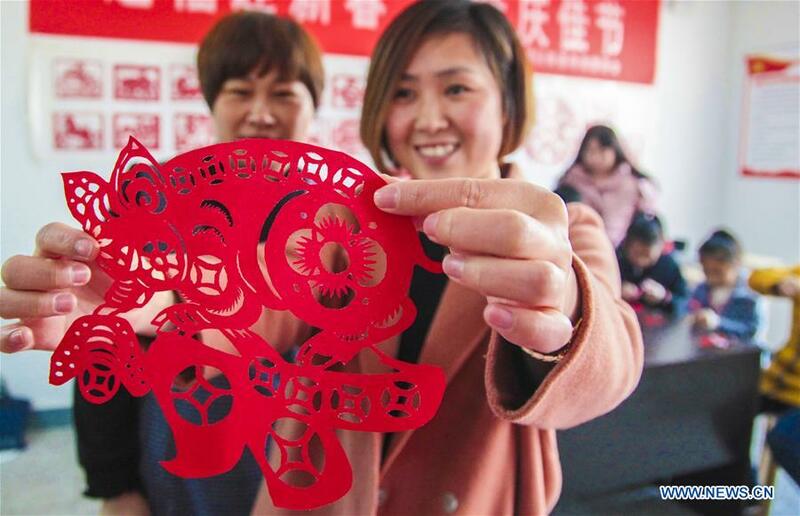 Thus, the Year of the Pig also represents new beginnings and entrepreneurship. The start of a new year is an ideal time for a fresh start, whether that be personally taking up a new activity or starting a new business. Passion for life. As the 19th century American essayist Ralph Waldo Emerson observed, "Nothing great was ever achieved without enthusiasm." This Information Age presents both significant challenges and great opportunities. If we are to overcome challenges and achieve our individual and collective potential for positive change and greatness, then we need leaders with passion, enthusiasm and commitment. The start of a new year, in this case the Chinese Spring Festival heralding the onset of the Year of the Pig gives us an opportunity to look ahead and express our wishes in every aspect of life.